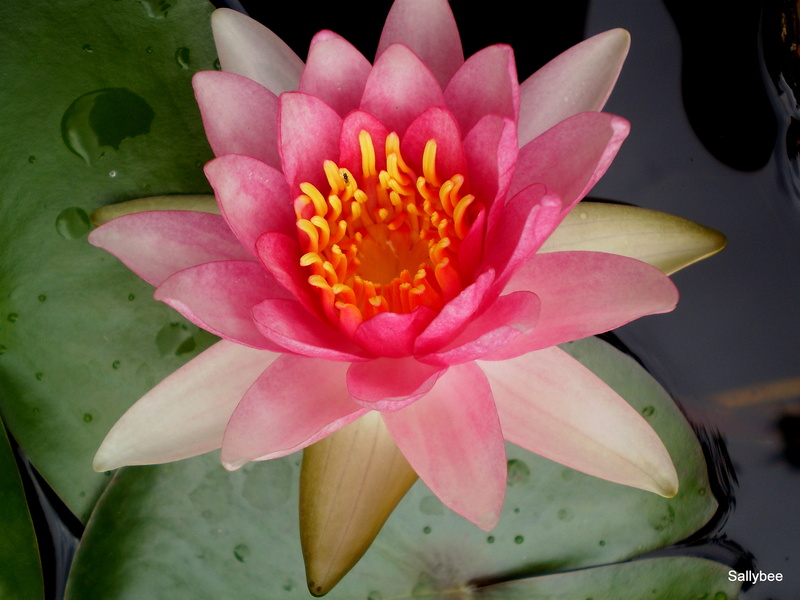 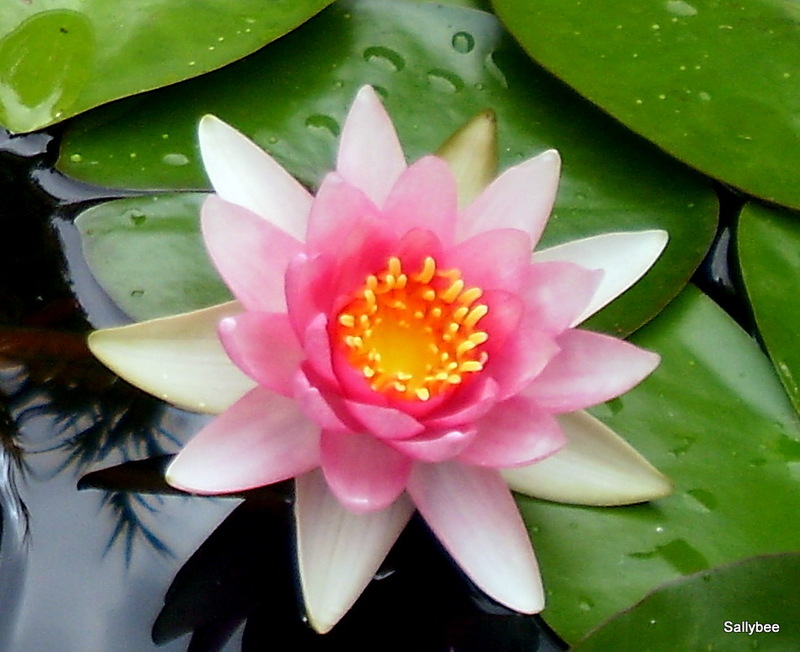 The pond is beautiful with a lily pad, but no little green frog. 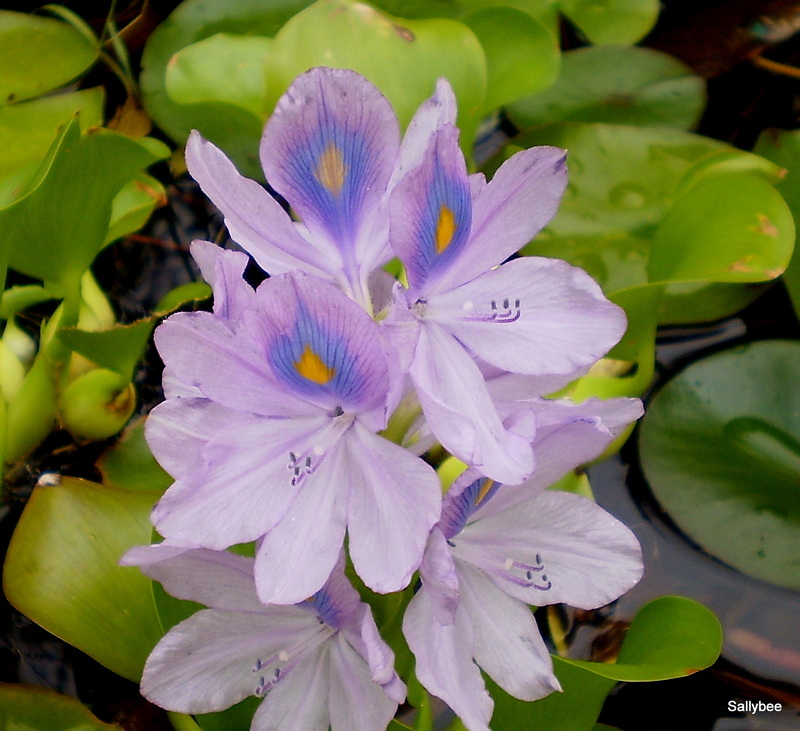 Water hyacinths like to take over the pond. 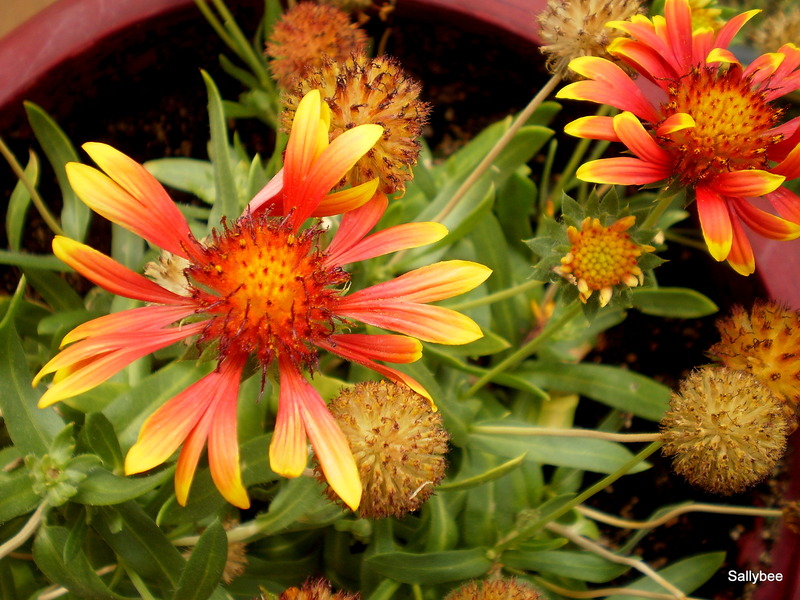 This is not a water plant, but the flowers are colorful.